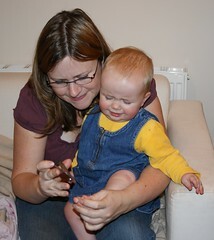 Anna and Amaia's blog: Don't cut my nails mum! Mum keeps doing this really annoying thing to my finger and toe nails every week. It is seriously upsetting. The more I pull my hands and feet away, the more she tightens her grip on me. I just don't like it.